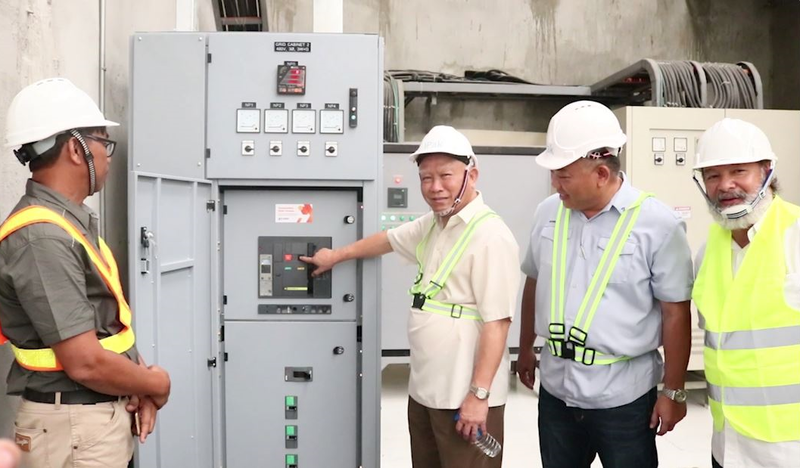 Treasure Island Industrial Corporation President Lucio Ong (third from right) leads the ceremonial switch-on of the rooftop solar power installation at TIIC’s packaging division as TIIC Senior Vice President Douglas Ong (second from right) and Vivant Corporation President Ramontito Garcia (right) look on. 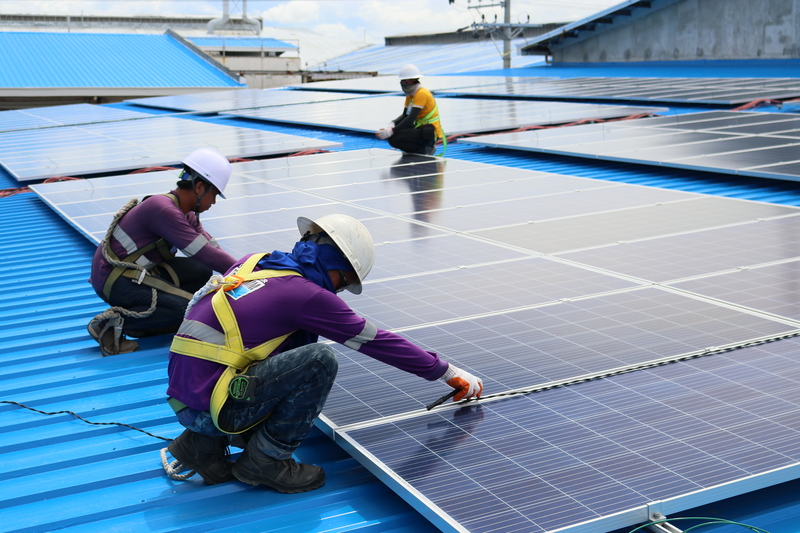 The rooftop solar power system installed by ET Vivant Solar at the Treasure Island Industrial Corporation compound in Barangay Tingub, Mandaue City is designed to generate 1400 kWp of renewable energy exclusively for TIIC’s packaging division, iPak. ET Vivant, a partnership between leading global renewable energy developer ET Energy and Vivant Energy Corporation, will ensure maintenance of the solar rooftop installation until it turns over ownership of the modules to TIIC at the end of the 15-year contract.Treasure Island and ET Vivant signed a power purchase agreement allowing the manufacturing conglomerate to use all of the solar energy generated by the photovoltaic panels installed on the rooftop of its buildings.